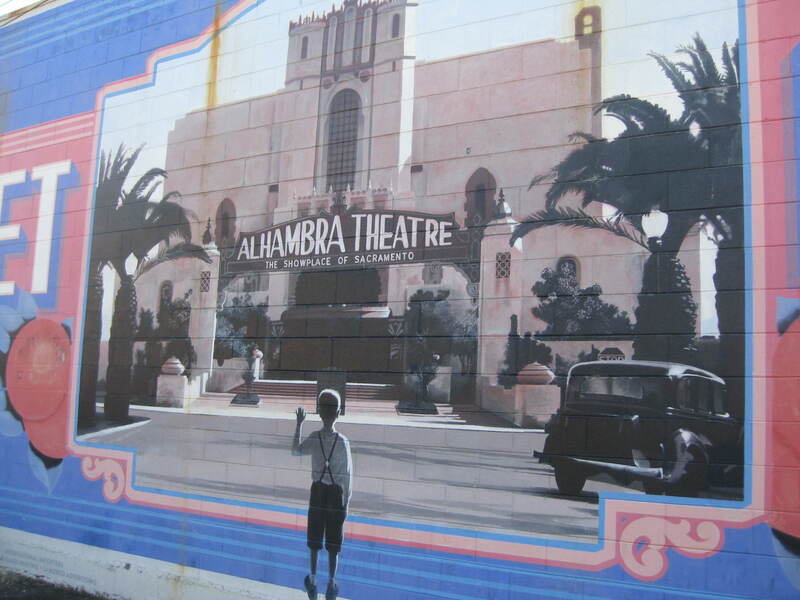 The Alhambra Theater was built in 1927 and demolished nearly 50 years later in 1974 after voters rejected a bond measure that would have preserved the historic movie house (1). 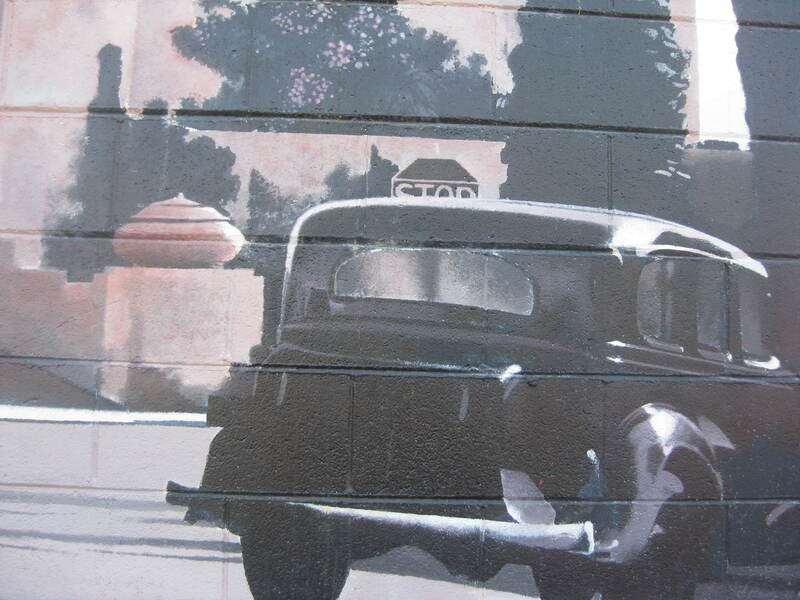 This mural on 26th between J & K is a remembrance of the lovely theater that once graced our city. 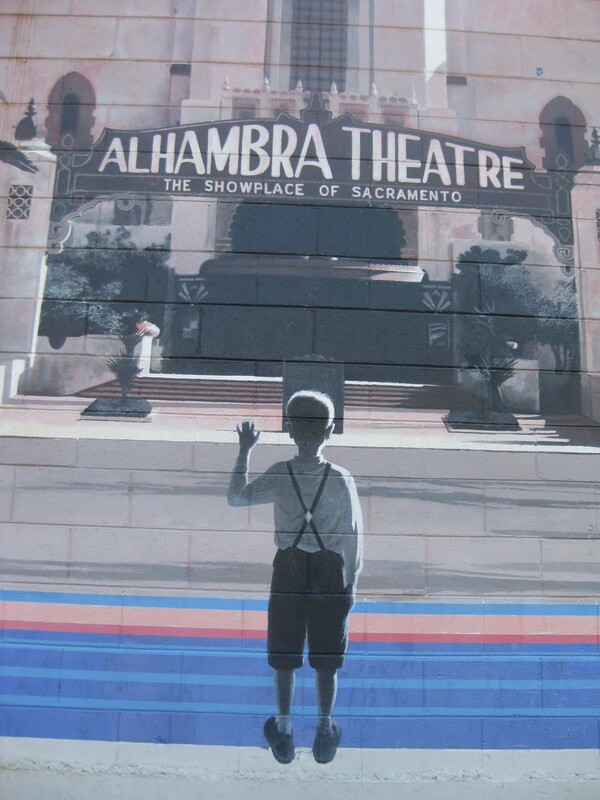 Wikipedia describes the Alhambra as the preeminent movie house in the greater Sacramento area during its era (2). 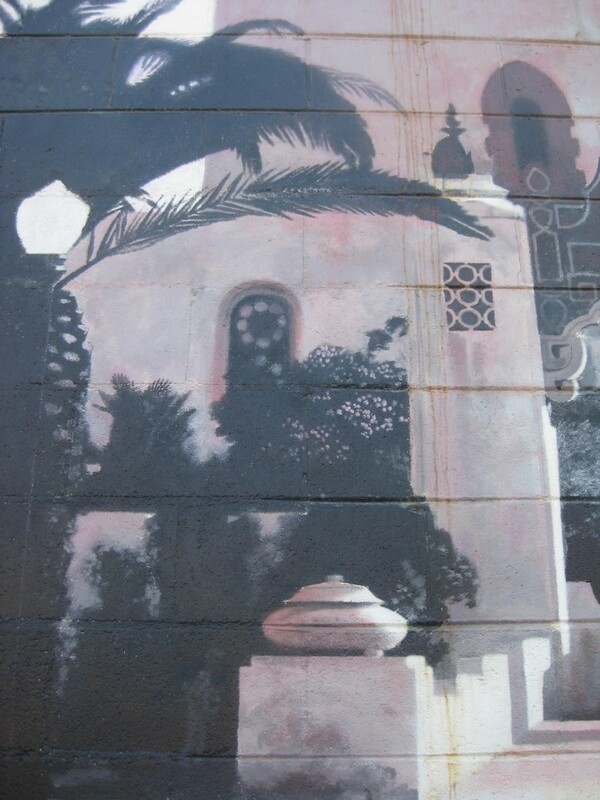 The theater was designed in the Moorish style including a large courtyard and fountain (3). 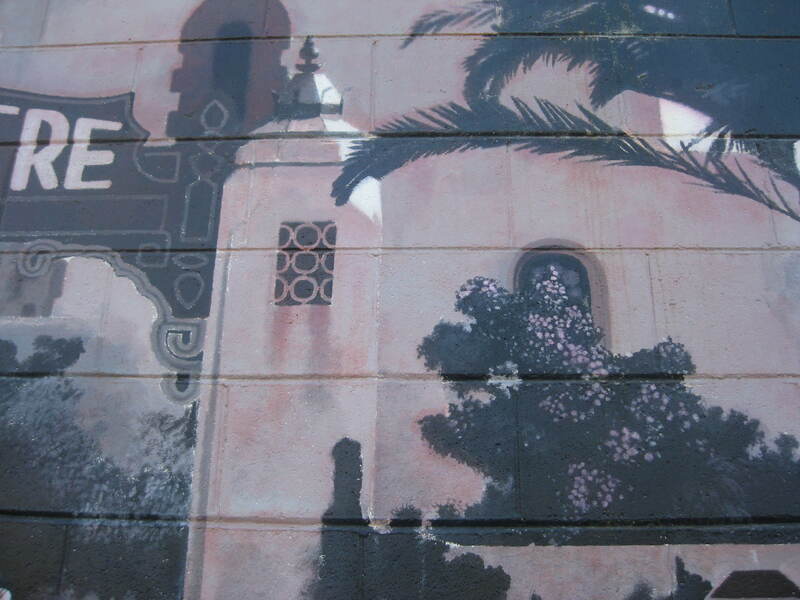 When the beautiful theater was torn down, the community lost a piece of its past, and artist, Stephen Bauer, hopes that his mural reminds people of the treasures in our community and encourages people to take care of the community and their neighborhoods (5). 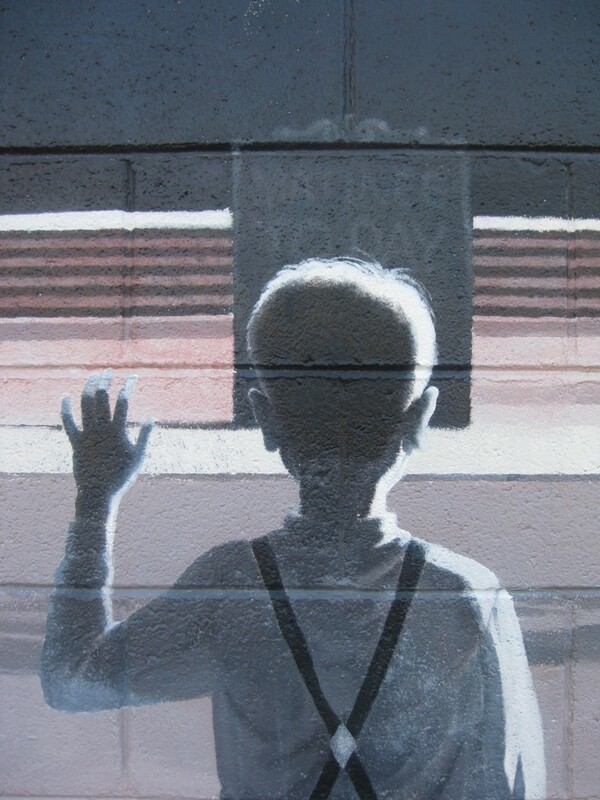 The boy waving goodbye is a metaphor for many area residents who grew up going to the theater and experienced the loss most directly (6). Bauer choose a fruit label postcard image for the background to reflect several elements of the history of the theater. The orange and yellow tints are indicative of the art deco-style of the theater and the entire design is also reminiscent of fruit label designs popular during that time. 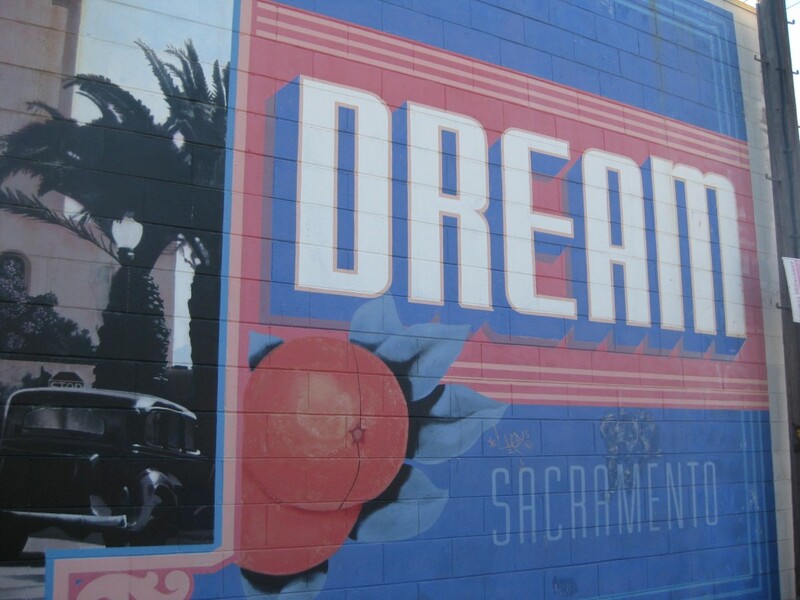 The citrus colors and theme also links to the old orange grove that grew on the north side of the building (7). 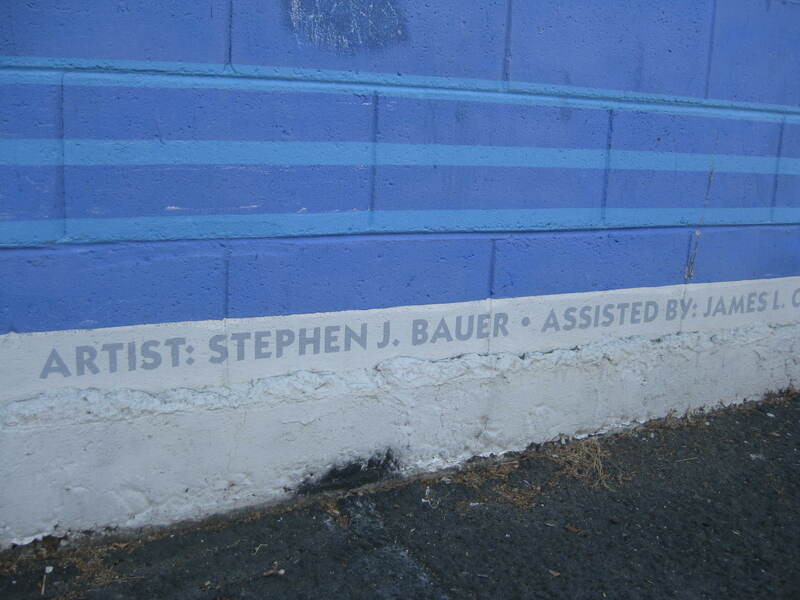 Bauer lives in Sacramento and is a free-lance wallpaper restorationist (8). 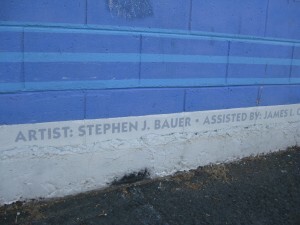 A profile page for Bauer on the Artistic License site describes him as having “truly unique genius for historic design” (9). 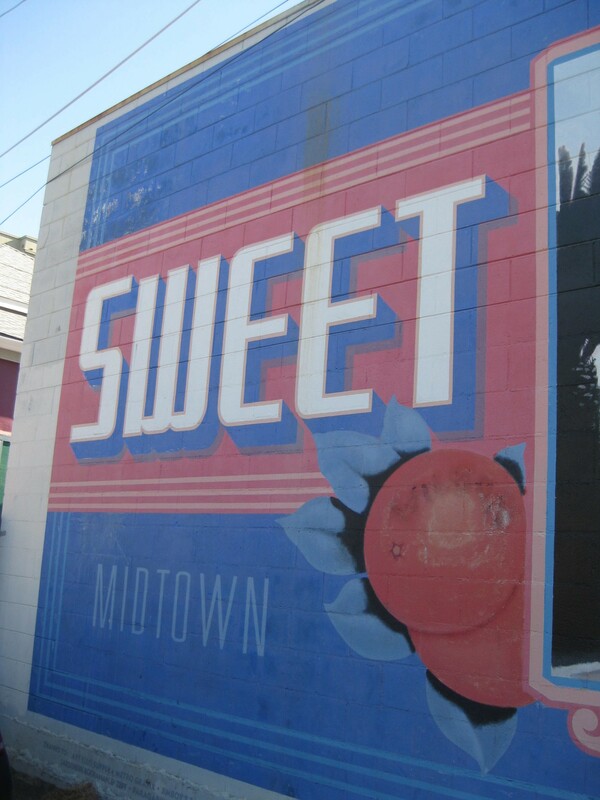 While he was working on the mural, midtown residents approached him asking about his work. “They were all excited about having that image here,” Bauer said. “A lot of younger people hadn’t seen what it looked like before.. I think the colors excited them, too. The wall before pretty much went unnoticed. I think the transformation was pretty dramatic to a lot of people.” (10). 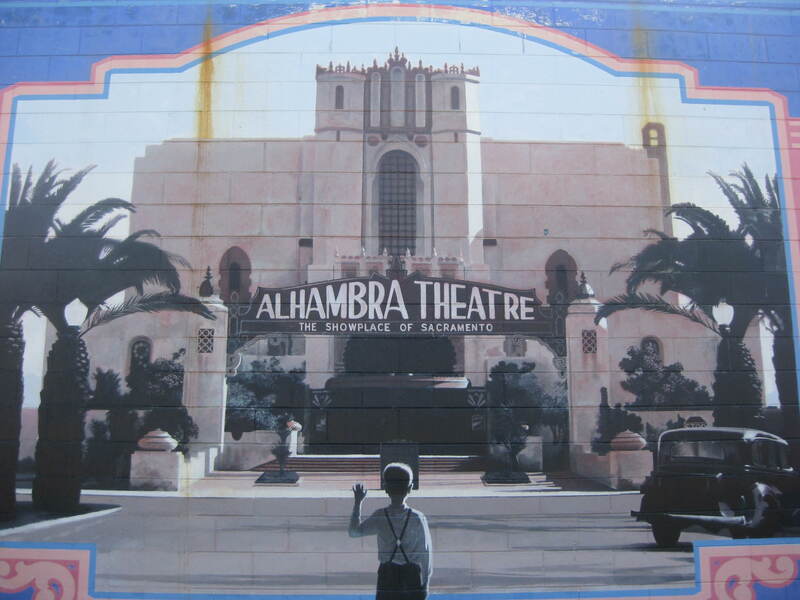 The Alhambra mural was the inaugural mural to kick-off Midtown Murals Project, a non-profit organization that (at one time) planned to create 12 such community murals in Midtown “to beautify and provide a recognizable, positive identity for the area” that focuses on the “rich history, cultural diversification and natural artistic beauty” (11). 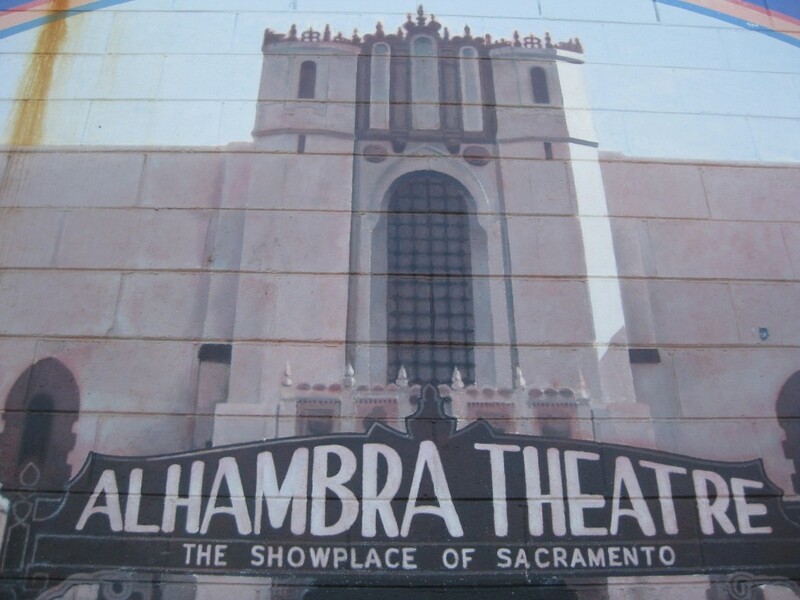 The Alhambra Theatre bond measure was voted on by Sacramento County on April 17, 1973.